King's College Chapel is regarded as one of the greatest examples of late Gothic English architecture. It has the world's largest fan-vault, and the chapel's stained-glass windows and wooden chancel screen are considered some of the finest from their era. 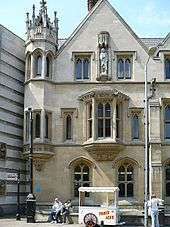 The building is seen as emblematic of Cambridge. The chapel's choir, composed of male students at King's and choristers from the nearby King's College School, is one of the most accomplished and renowned in the world. Every year on Christmas Eve the Festival of Nine Lessons and Carols (a service devised specifically for King's by college dean Eric Milner-White) is broadcast from the chapel to millions of listeners worldwide. Henry directed the publication of the college's first governing statutes in 1443. 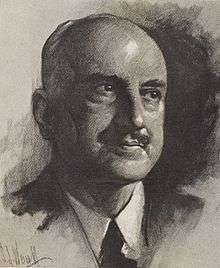 His original modest plan for the college was abandoned, and provision was instead made for community of seventy fellows and scholars headed by a provost. 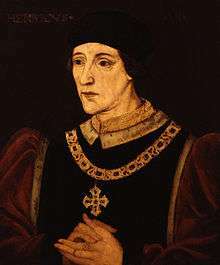 Henry had belatedly learned of William of Wykeham's 1379 twin foundation of New College, Oxford and Winchester College, and wanted his own achievements to surpass those of Wykeham. 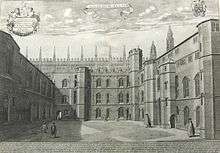 The King had in fact founded Eton College on 11 October 1440, but up until 1443 King's and Eton had been unconnected. However, that year the relationship between the two was remodelled upon Wykeham's successful institutions and the original sizes of the colleges scaled up to surpass Wykeham's. 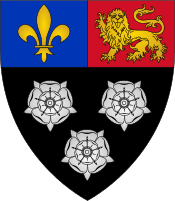 A second royal charter which re-founded the now much larger King's College was issued on 12 July 1443 . 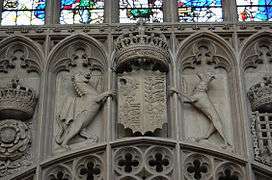 On 1 September 1444, the Provosts of King's and Eton, and the Wardens of Winchester and New College formally signed the Amicabilis Concordia ("friendly agreement") in which they bound their colleges to support one another legally and financially. Under the provostship of Richard Okes, from 1850 until his death in 1888, the college began a period of reform. On 1 May 1851 it was agreed to abolish the privilege of King's members to be granted a degree without passing the university examinations. In 1861 the college statutes were amended so as to expand the college and, more radically, to allow for the election of non-Etonian King's members: the new statutes provided for forty-six Fellows, twenty-four scholarships reserved for boys from Eton, and twenty-four "open" scholarships for boys from any school. At the same time all formal obligation to take Holy Orders – unenforced since the seventeenth century – was removed. The statutes were again amended in 1882, this time ensuring fellowships were not always for life and were awarded on merit after submissions of original research. The first non-Etonian students were admitted to study at King's in 1865, and the first non-Etonian scholars and the first non-Etonian fellow were elected in 1873. These reforms continued over subsequent decades and there are now no special privileges for Etonians at King's. The expansion of the college through the 1861 statutes necessitated more building work to accommodate the larger community. In 1869, the area along King's Parade between the Wilkins' Buildings and King's Lane was built upon after a design by George Gilbert Scott. When completed a year later, the new courtyard formed was named after Walter Chetwynd, a fellow of the college. 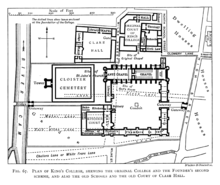 However, after subsequent plans to expand college accommodation fell through King's opened negotiations to amalgamate with St Catharine's College. Although St. Catherine's had been founded by Robert Woodlark (sometimes spelled Wodelarke), a Provost of King's, the college declined the invitation to combine. Eventually, in 1893, the east and south wings of another new courtyard within King's – designed by George Frederick Bodley and overlooking the river – were completed. The first women students arrived at King's in 1972. The college, along with most others at the university, had been all-male since its foundation. 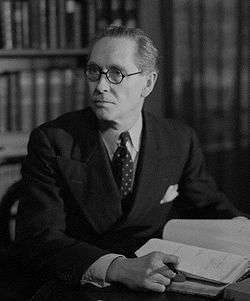 However, under provost Bernard Williams, King's joined Churchill and Clare in becoming the first three previously all-male colleges to admit women. In general, the atmosphere at King's is considered to be a little easier than that of other colleges to integrate into if you come from a working class or minority background. Having said this, a survey conducted by Varsity Newspaper in January 2009 revealed that the average parental income of students who participated in the survey at King's was very slightly higher than the university average. The main bar at King's is the site of many social events, open mic nights, and informal meetings and debates between students, whilst a venue known as the Bunker (formerly the Cellar), a second bar in a basement of the college, acts occasionally as a music or dance-night venue and most recently the set for a King's Drama productions including Sartre's No Exit and a series of monologue showcase events. King's has a number of competitive sports teams including, men's and women's football and athletics. King's College Boat Club has the largest active membership of any club in King's, and has had some success on the river, particularly in recent years. In 2013 the first men's boat qualified to race in the Temple Challenge Cup at the Henley Royal Regatta. Another major club is the King's Mountaineering and Kayaking Association, which has a fleet of kayaks for use on the River Cam (which runs through the College) and regularly runs climbing, walking and kayaking trips for students of the college during university vacations. In 2016 CCK rugby (Clare, Corpus Christi and King's Colleges) reached the cuppers semi-final under captain Sam Trueman. They lost 29-24 to Emmanuel. Once someone has been admitted to the college, they become a member for life. Alumni of the college includes prime ministers, archbishops, presidents and numerous academics. 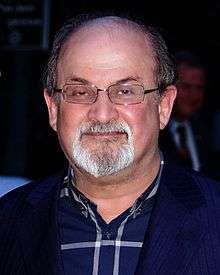 Time published in 1999 a list of what it considered the most "influential and important" people of the twentieth century. 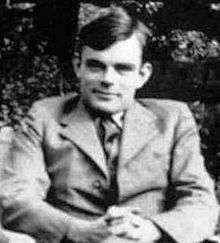 In a list of one hundred names, King's claimed two: Alan Turing and John Maynard Keynes who had been both students and fellows at the college. Politicians educated at King's include former British Home Secretary Charles Clarke, peer and Chancellor of the University of Cambridge David Sainsbury, Baron Sainsbury of Turville, and Martin Bell. Also in the 18th century alumni include Secretary of State Charles Townshend, 2nd Viscount Townshend (Turnip Townshend), who was also known for his interest in agriculture and role in the British agricultural revolution, judge and Lord Chancellor Charles Pratt, 1st Earl Camden. 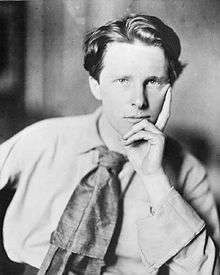 Notable alumni in literature and poetry include the authors Zadie Smith, Salman Rushdie, Martin Jacques, J. G. Ballard and E.M. Forster, Nobel Prize winner Patrick White, poets Rupert Brooke, Walter Raleigh and Xu Zhimo, playwright Stephen Poliakoff. 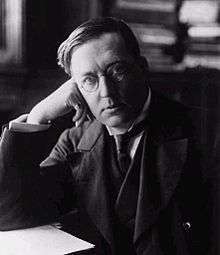 Montague Rhodes James, ghost story writer and mediaevalist spent much of his life at King's as student, fellow and Provost. Author and translator of Aristotle Sir John Harington is also an alumnus, popularly credited with inventing the flush toilet. In the arts, alumni include philosopher George Santayana; composers George Benjamin, Thomas Ades, and Julian Anderson; the original members of the Grammy Award-winning a cappella group King's Singers; folk musician John Spiers; comedian David Baddiel; and model Lily Cole. In the sciences and social sciences, King's alumni include British sociologist Anthony Giddens, physicist Patrick Blackett, chemist Frederick Sanger, palaeontologist Richard Fortey, economist John Craven, engineer Charles Inglis, mathematician and eugenicist Karl Pearson. Former Governor of the Bank of England Mervyn King was also educated at King's. 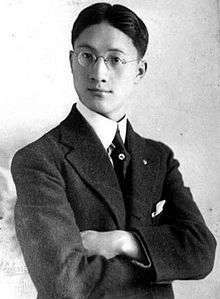 There are six Nobel laureates who were either students or fellows of King's. The head of King's College is called the Provost. The current Provost, as of 2013, is Michael Proctor, physicist and Professor of Astrophysical Fluid Dynamics at Cambridge. 1 2 "King's College". Undergraduate Study. University of Cambridge. Retrieved 19 July 2012. ↑ see e.g. the logo of the city council, "Cambridge City Council". Retrieved 19 July 2012. 1 2 "History of A Festival of Nine Lessons and Carols". King's College, Cambridge. Retrieved 19 July 2012. ↑ Blake, Heidi (24 December 2012). "Hundreds queue overnight to watch Kings College Choir in Christmas concert". The Daily Telegraph. London. Retrieved 19 July 2012. 1 2 3 Saltmarsh 1959. ↑ Austen-Leigh 1899, pp. 3–4. ↑ Fay 1907, pp. 5, 8, 49. ↑ "Henry VI". Monarchs and Royals. InfoBritain. Retrieved 19 July 2012. ↑ Fay 1907, p. 49. ↑ "Eton College History" (PDF). Eton College. Retrieved 17 July 2012. ↑ Austen-Leigh 1899, p. 15. ↑ Fay 1907, p. 52. ↑ Austen-Leigh 1899, p. 11. ↑ Fay 1907, p. 54. ↑ Fay 1907, pp. 8–9. 1 2 3 4 5 "College history". King's College, Cambridge. Retrieved 17 July 2012. ↑ Fay 1907, p. 10. ↑ Austen-Leigh 1899, pp. 150, 221, 279. ↑ Fay 1907, pp. 40–41. ↑ Fay 1907, p. 42. ↑ Fay 1907, pp. 42–43. ↑ "Cambridgeshire Constabulary". National Police Officers Roll of Honour and Remembrance In Memory of British Police Officers who Lost their Lives in the Line of Duty. Police Roll of Honour Trust. Retrieved 19 July 2012. ↑ "Saving the Chapel windows". Archive Centre. King's College, Cambridge. Retrieved 19 July 2012. ↑ "A season for crying in the chapel: Millions will enjoy today's festival of carols from King's College, Cambridge. But Graham Chainey mourns a botched 'restoration'". The Independent. London. 24 December 1992. Retrieved 19 July 2012. ↑ O'Grady, Jane (13 June 2003). "Obituary: Professor Sir Bernard Williams". The Guardian. London. Retrieved 18 July 2012. ↑ "Carols from Kings". BBC.co.uk. Retrieved 23 November 2015. 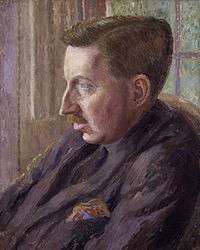 1 2 Garner, Richard (11 July 2012). 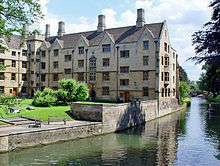 "Trinity College tops Cambridge league table". The Independent. London. ↑ "Library recommendations". King's College, Cambridge. Retrieved 14 September 2014. ↑ "Internet Access". King's College, Cambridge. Retrieved 14 September 2014. 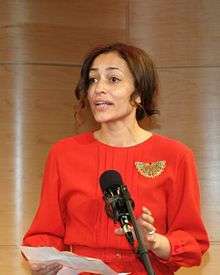 ↑ "Special Collections". King's College, Cambridge. Retrieved 14 September 2014. ↑ "Table 5.1 Proportion of Home applications and acceptances to Cambridge from the maintained sector by College 2008 and 2007" (PDF). Cambridge University Reporter. CXXXIX (Special No 17): 15–16. 20 April 2009. Retrieved 19 July 2012. ↑ "Schools Liaison Initiative". King's College, Cambridge. Retrieved 19 July 2012. 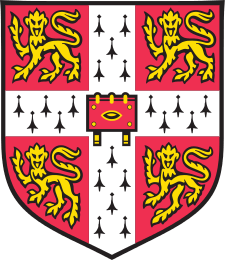 ↑ "Cambridge University Area Links Scheme". Cambridge University. Retrieved 21 February 2013. ↑ Tunstall-Behrens, Caedmon (23 January 2009). "From dumpster-diving to raucous revels" (PDF). Varsity. Cambridge. pp. 1, 4–5. Retrieved 18 July 2012. ↑ "No Exit news item". King's College, Cambridge. Retrieved 21 February 2013. ↑ "KCBC". KCBC. Retrieved 14 September 2014. ↑ "King's Mountaineering and Kayaking Association". Retrieved 14 September 2014. ↑ Isaacson, Walter (31 December 1999). "Who Mattered And Why". Time Magazine. Retrieved 29 May 2011. ↑ "The Nobel Prize in Physics 1948". Nobelprize.org. Retrieved 20 July 2012. 1 2 3 4 5 6 "Nobel Prize Winners". Research at Cambridge. University of Cambridge. Retrieved 20 July 2012. ↑ "The Nobel Prize in Chemistry 1958". Nobelprize.org. Retrieved 20 July 2012. 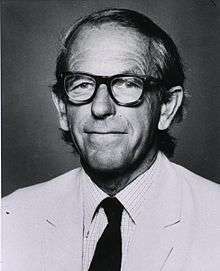 ↑ "The Nobel Prize in Chemistry 1980". Nobelprize.org. Retrieved 20 July 2012. ↑ "The Nobel Peace Prize 1959". Nobelprize.org. Retrieved 20 July 2012. ↑ "The Nobel Prize in Literature 1973". Nobelprize.org. Retrieved 20 July 2012. ↑ "The Sveriges Riksbank Prize in Economic Sciences in Memory of Alfred Nobel 1984". Nobelprize.org. Retrieved 20 July 2012. ↑ "The Nobel Prize in Physiology or Medicine 2002". Nobelprize.org. Retrieved 20 July 2012.